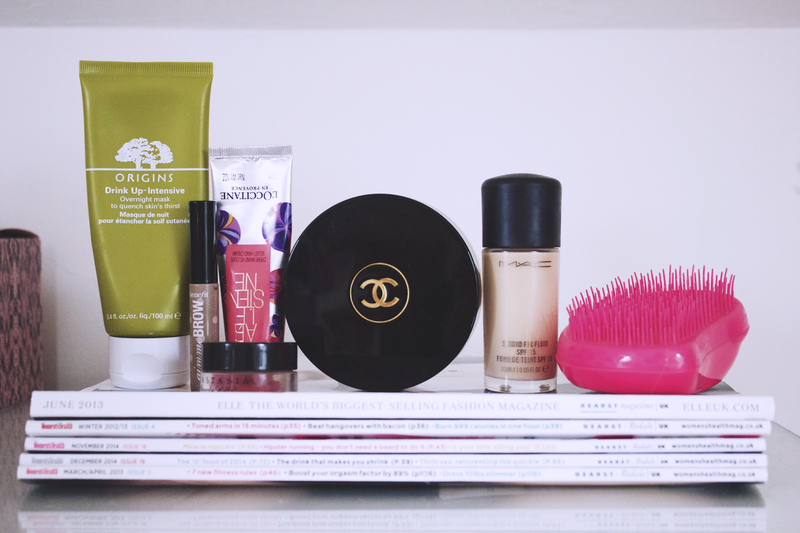 I found SO many new products in 2014 so thought I would share my favourites! The Origins Drink Up Intensive Overnight Mask is one of my favourite skincare products, if you ever get dry or dehydrated skin then this is perfect for you! You just apply it at night and in the morning, you wake up with hydrated and very soft skin. Another skincare essential is the L'Occitane Arlésienne Hand Cream, over the past two months or so, I have had extremely dry, chapped and painful hands and just picked this one up when I was in town. It is absolutely amazing, it is so moisturising and cleared up my dry hands so quickly. For brows I have loved the Anastasia Dip Brow Pomade and the Benefit Gimme Brow gel. In my opinion, Anastasia Beverly Hills is the best brand for brows, the Dip Brow is amazing! It looks so natural and the colour is perfect for my pale brow hairs! Afterwards, I use the Benefit product to hold my brows in place (they have a life of their own) and make sure they are all in the right direction! After having it on my wish list for so long, I finally purchased the Soleil Tan De Chanel and fell in love with it. I love using it underneath my makeup but also over the top of foundation to add some colour to my face. It is pricey but it lasts absolutely ages so I think it's worth the money. In 2014 I found my perfect foundation, Mac Studio Fix Fluid. It has medium to full coverage, it covers everything and lasts all day on the skin, brilliant! Finally is my tangle teaser, I never really thought I needed one but bought one anyway and am so glad I did. It is so gentle and never tugs or pulls on my hair, it's brilliant! What were your favourite products of 2014? 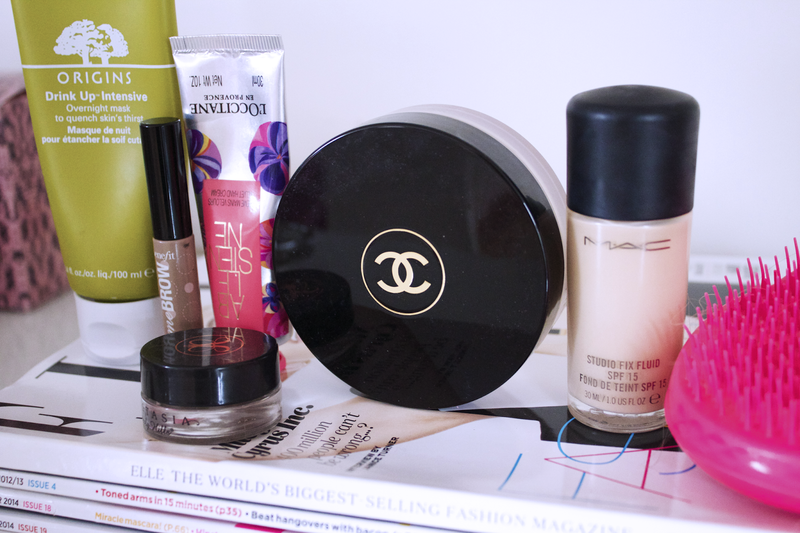 I love Benefit Gimme Brow and Soleil Tan de Chanel and my tangle teezer in an absolute life saver, I was the same and wasn't sure if I needed one, until I got one!! Fab choices lovely, I really want to try that hand cream now! I need to get my hands on the origins drink up mask, the cold weather has made my skin so dry so I definitely need to give this a try!